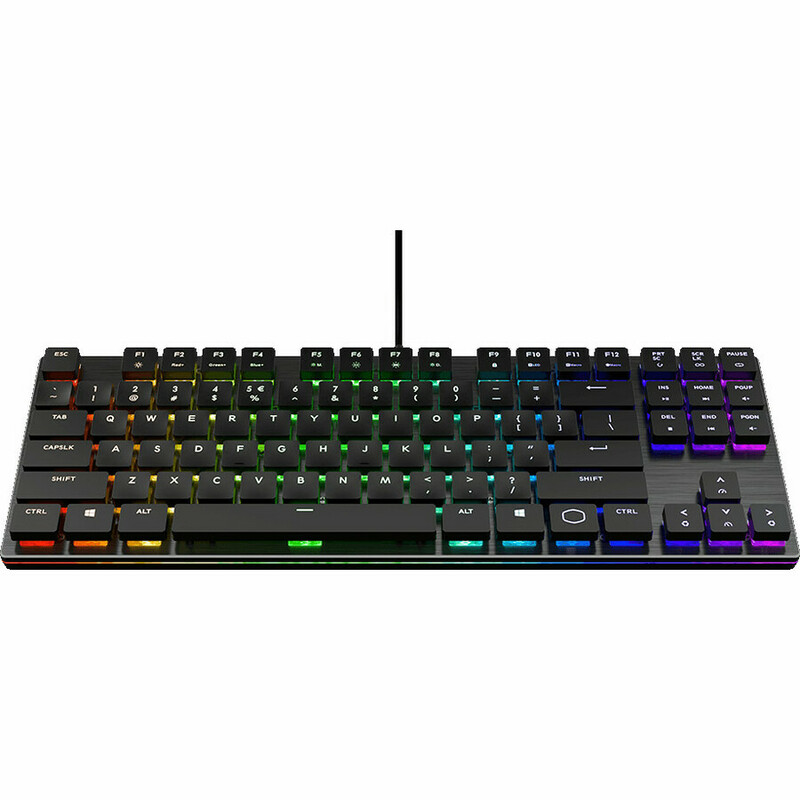 Be the envy of chiclet keyboard fanboys everywhere with the ultra-slim SK630 TKL Mechanical Keyboard. 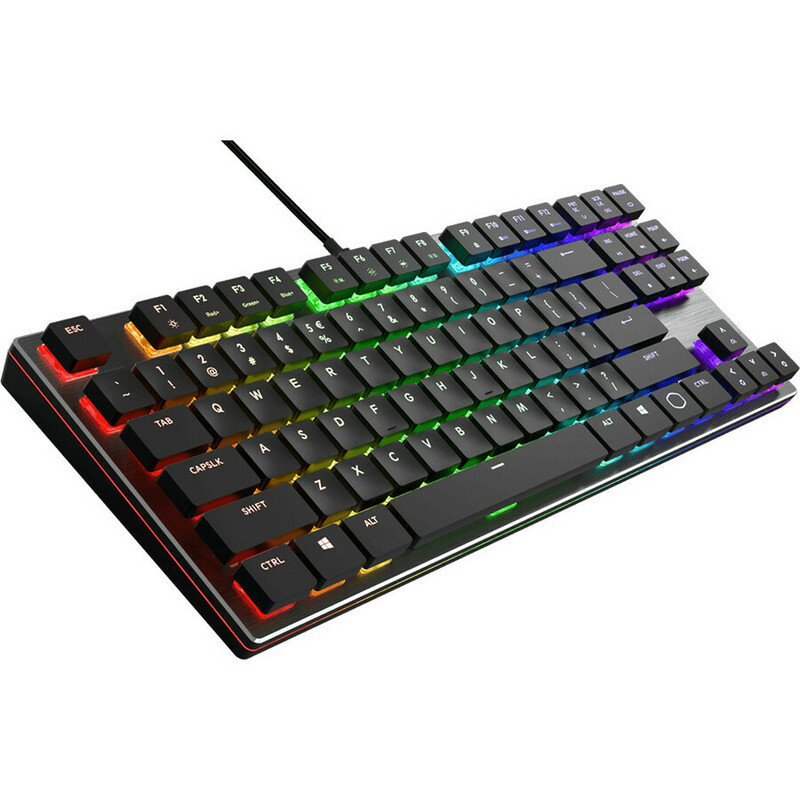 With extra-flat, contoured keycaps and new Cherry MX Low Profile switches in a minimal, tenkeyless design, you finally have a mechanical keyboard that doesn't stick out like a sore thumb next to your slick, all-in-one workstation. 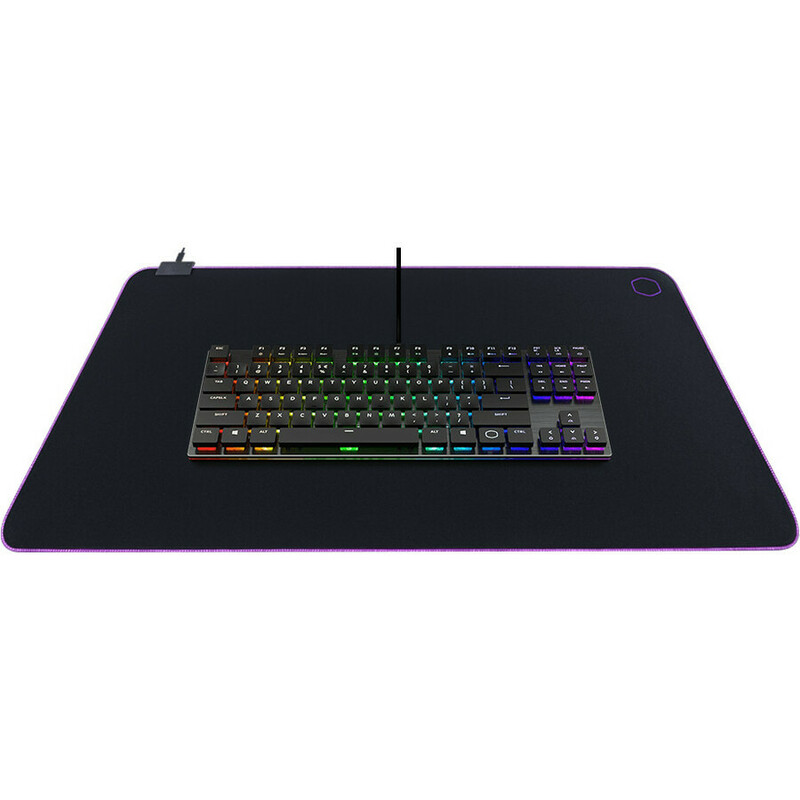 And with signature kickass Cooler Master features on deck, you're fully equipped to crush it both at work and in-game. 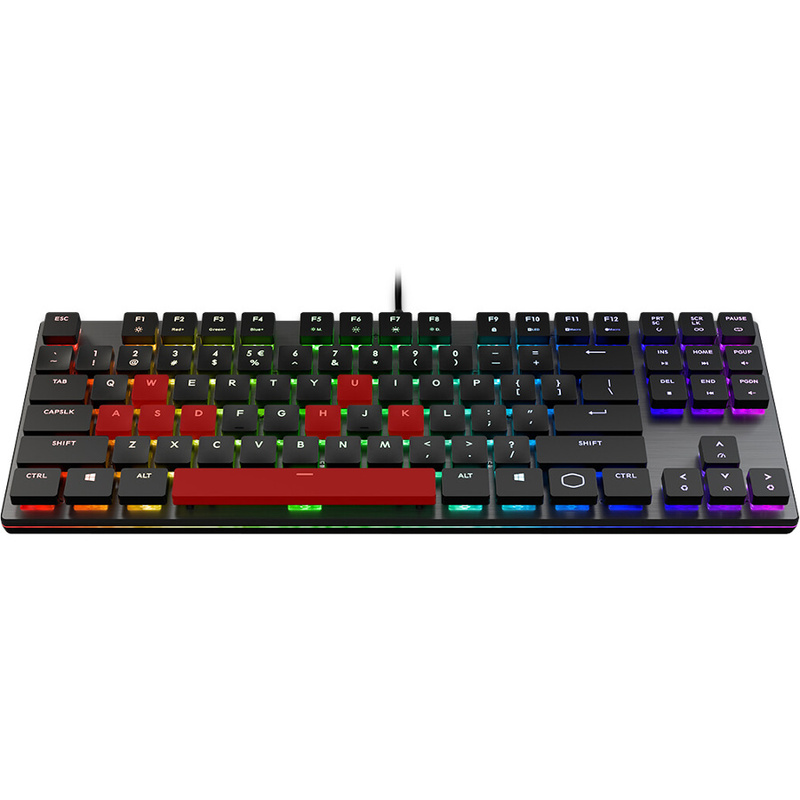 The SK630 sports a bold new look for mechanical keyboards with new Cherry MX Low Profile switches. 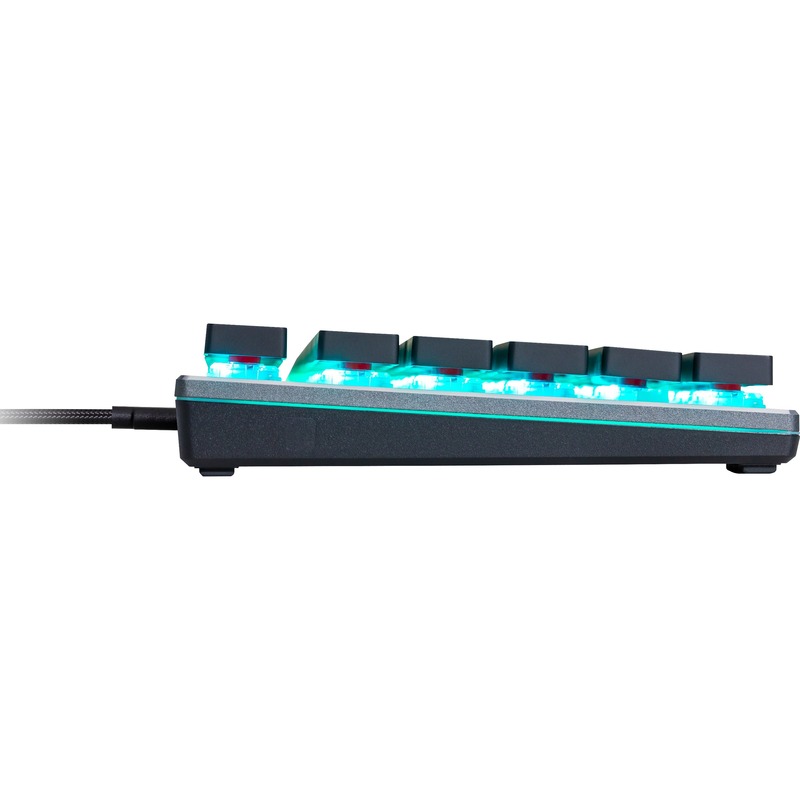 All the durability and precision of traditional Cherry MX switches, now with a travel distance and actuation point reduced by 0.8mm. 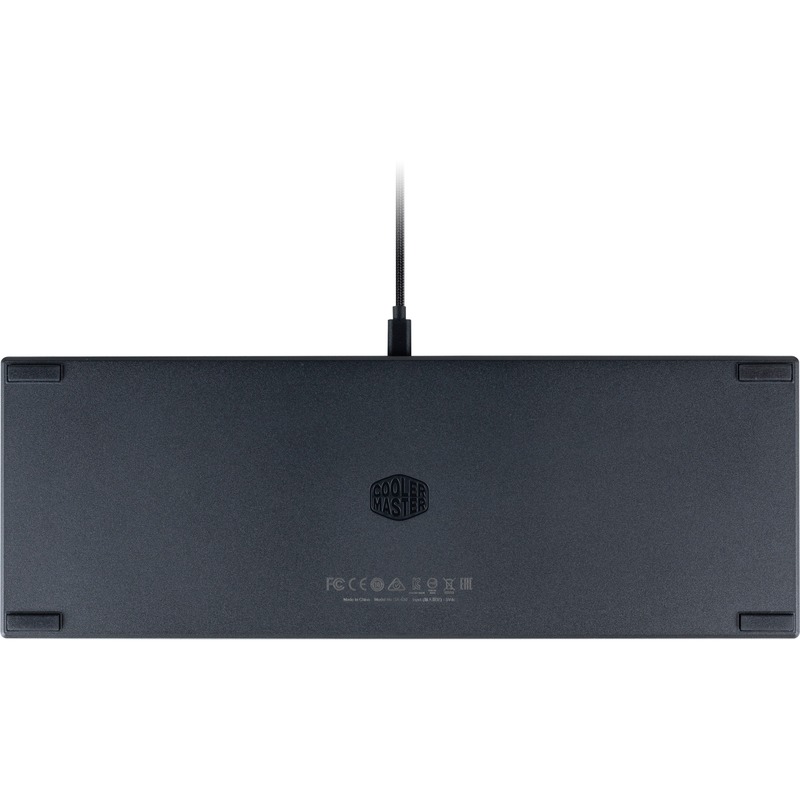 Add in ultra-flat keycaps and a tenkeyless format, and you have a lightweight mechanical keyboard that's slim only in appearance, not quality. 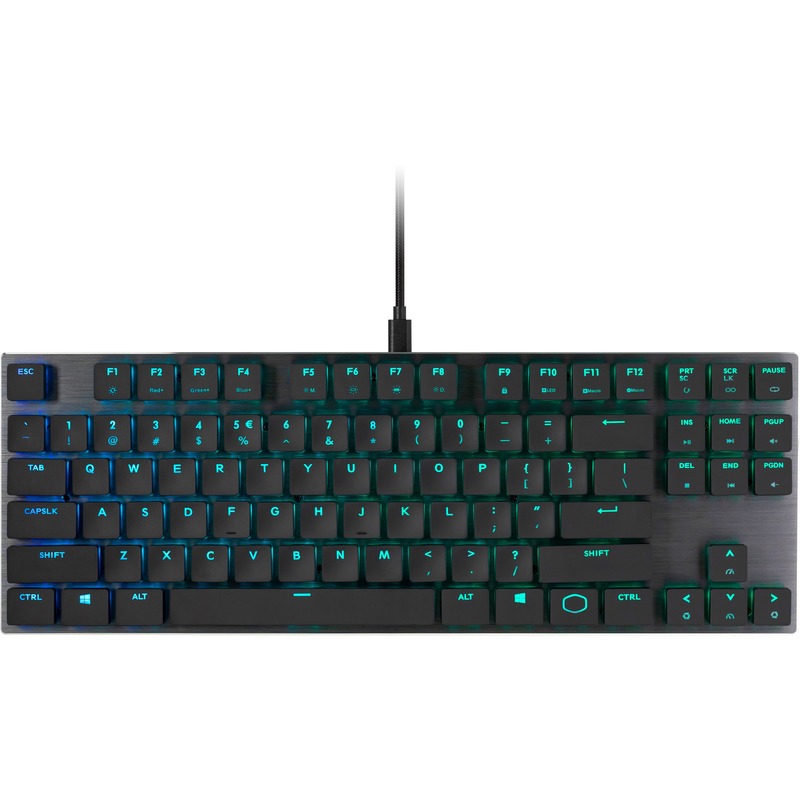 The SK630 takes the classic slim, minimal design of the most popular chiclet keyboard and injects it with the signature Cooler Master mix of flair and functionality. 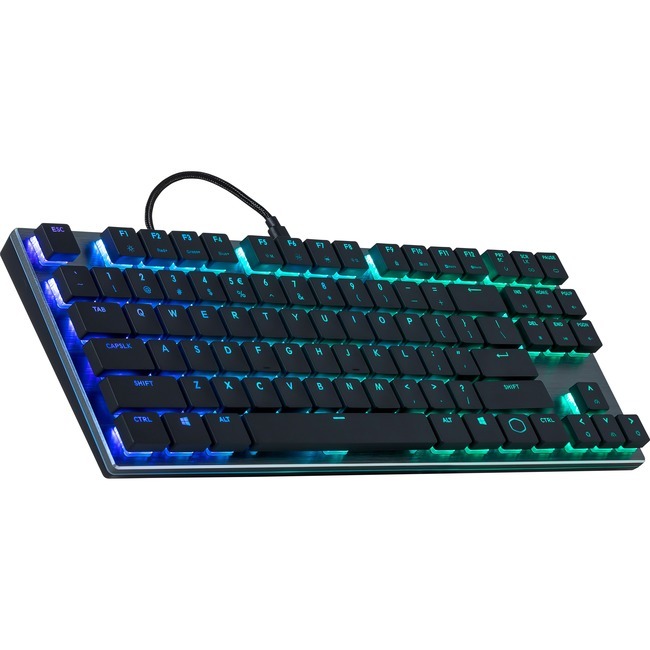 This includes a brushed aluminum top plate for durability and contemporary good looks, while a contoured floating key design gives you an extra dimension of functionality and signature beauty. 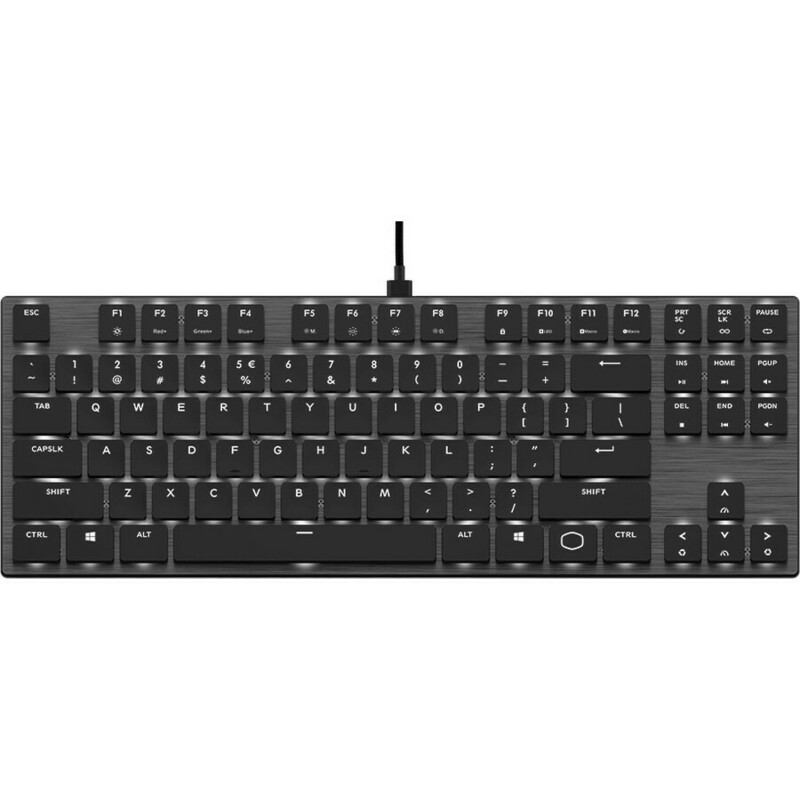 The result is a keyboard that looks familiar, but feels unlike any other chiclet-style keyboard you've used before. 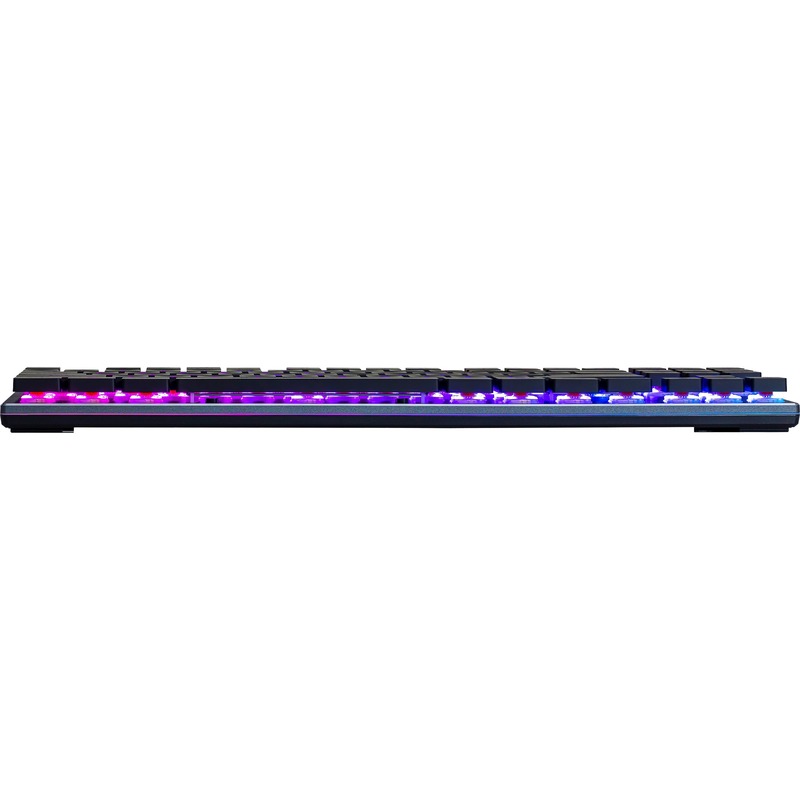 RGBs have never been more elegant than on the SK630, with per-key backlighting that's implemented with understated functionality in mind. 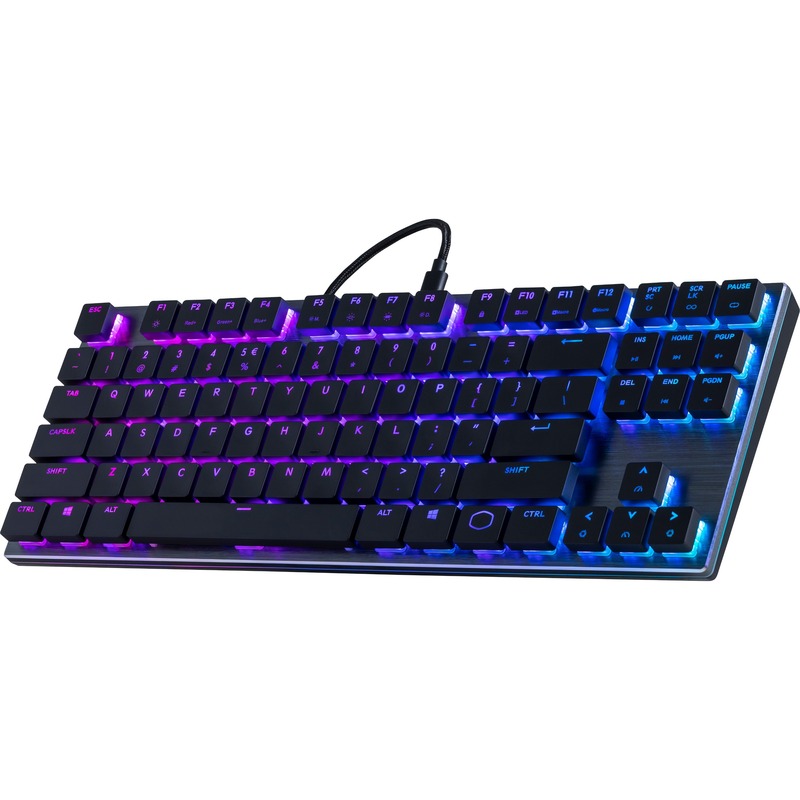 Add in a lightbar that adds classy ambience to the setup, and you have the first mechanical keyboard that elevates backlighting to "pinky up" status. You don't need it, but we have it. Simple, straightforward, and foolproof. 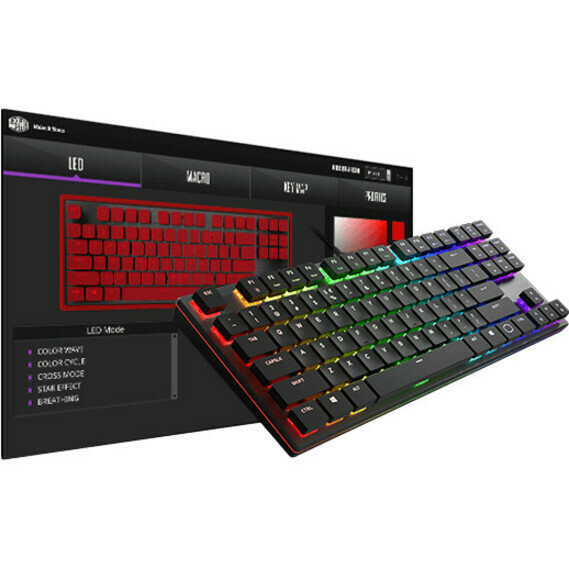 You'll be able to unleash 16.7 million colors to every key, get further customization of lighting modes, and fine-tune macros. Our software will give you everything but the kitchen sink.